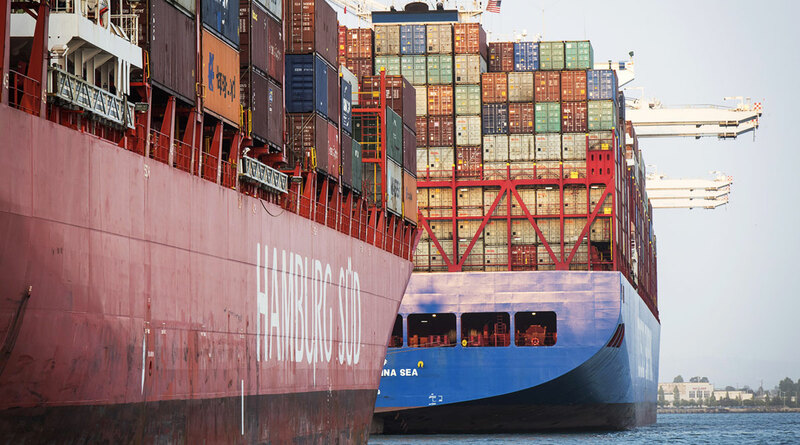 The International Maritime Organization rejected a proposal — supported by both the U.S. and shipping groups — for a phased start to rules that will limit the sulfur content of ship fuels starting in 2020. The agency’s Marine Environment Protection Committee, meeting in London, rebuffed the proposal for a so-called experience-building phase for the rule change, noting that it was vague and needed further defining. Instead, the panel invited separate proposals to enhance existing regulations. It wasn’t initially clear whether the experience-building proposal was killed for good or indefinitely delayed. IMO officials weren’t immediately available for comment. The IMO is meeting this week to iron out the details of rules that take place in just 14 months and will have major implications across the transportation, shipping, aviation and refining industries. The agency, which is part of the United Nations, two years ago adopted its sulfur-cap rules — commonly known as IMO 2020 — and has pledged to be firm on implementation. Earlier this week, it rejected efforts to delay a ban on ships’ carriage of non-compliant fuels, effectively bolstering the broader sulfur limits. From Jan. 1, 2020, the world’s ships will have to burn fuel containing no more than 0.5% sulfur, down from 3.5% in most parts of the world today. Vessels fitted with scrubbers to remove the pollutant can continue using existing high-sulfur fuel. Fuel is the shipping industry’s single-biggest expense. Shipping trade groups, facing billions of dollars in increased costs, have warned that the new rules could result in damage to vessels’ engines if fuels prove incompatible among different suppliers. Oil analysts have predicted the upgrade will add to the price of crude, and there have been warnings that world trade could be undermined. Even airlines are hedging prices forward to cover themselves. Three shipping trade groups and four flag states — usually tiny countries where thousands of the world’s merchant ships are registered — made a submission to the IMO in late August requesting an experience-building phase. A U.S. official said earlier this week that the Trump administration supports such a proposal, following a Wall Street Journal report saying the U.S. was seeking to slow-walk the rules due to the potential cost for consumers. While some analysts said the experience-building phase amounts to a request for a delay to the IMO 2020 rules, that would be an incorrect characterization, according to BIMCO, one of the shipping groups behind the proposal. Instead the goal was to get clear guidance — and a pragmatic approach — for when vessels either inadvertently fail to comply, or are unable to purchase the correct fuels, Lars Robert Pedersen, BIMCO’s deputy secretary general in charge of environmental matters, said in September. The submission to the IMO didn’t say how long the experience-building phase might last. It was made by BIMCO, Intertanko and Intercargo, as well as the Bahamas, Liberia, Marshall Islands and Panama. Officials from BIMCO, Panama and the Marshall Islands declined to comment following the IMO’s decision on Oct. 24.